From Jodi Picoult, #1 New York Times bestselling author of The Storyteller and My Sister's Keeper, comes a gripping and beautifully written novella, now available exclusively as an eBook. 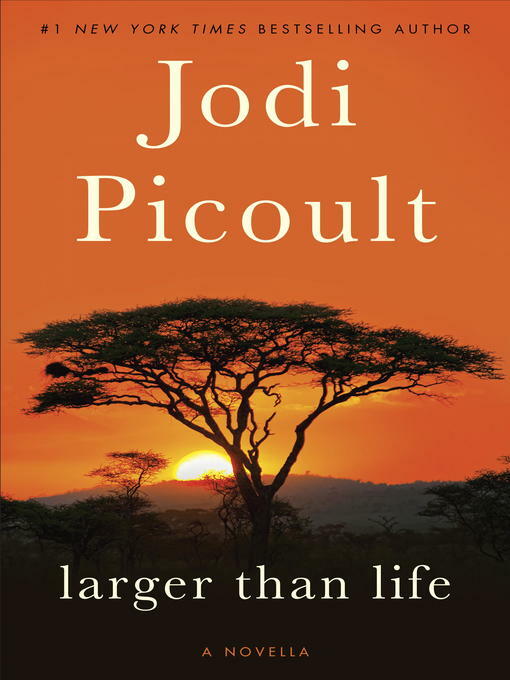 Set in the wilds of Africa, Larger Than Life introduces Alice, the unforgettable character at the center of Picoult's anticipated new novel, Leaving Time. A researcher studying memory in elephants, Alice is fascinated by the bonds between mother and calf--the mother's powerful protective instincts and her newborn's unwavering loyalty. Living on a game reserve in Botswana, Alice is able to view the animals in their natural habitat--while following an important rule: She must only observe and never interfere. Then she finds an orphaned young elephant in the bush and cannot bear to leave the helpless baby behind. Thinking back on her own childhood, and on her shifting relationship with her mother, Alice risks her career to care for the calf. Yet what she comes to understand is the depth of a parent's love.